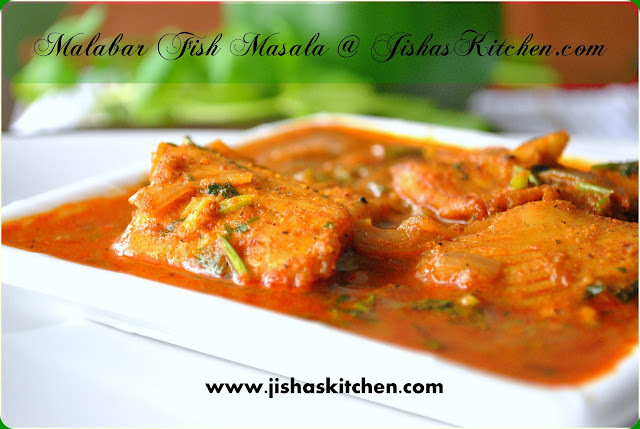 Today I am sharing the recipe of Malabar style Fish masala / Fish Kakkathilakkiyathu. 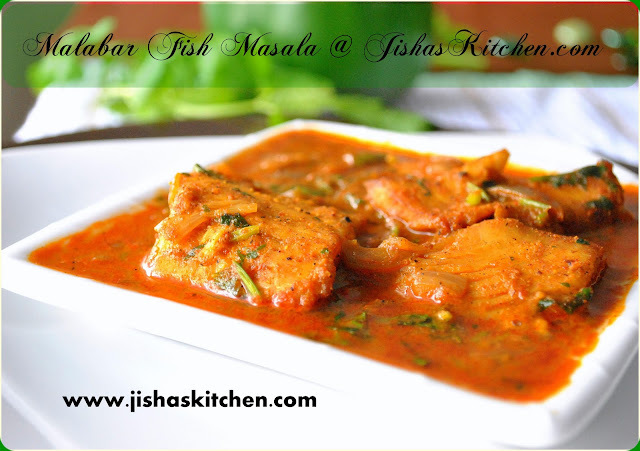 Clean and cut fish to medium size pieces and allow it to drain. Then marinate the fish pieces with 3/4 tsp of red chilly powder, a pinch of turmeric and salt. Keep it aside for about 10 minutes. Then heat oil in a pan and shallow fry the fish pieces in a medium low flame till it become light brown in color and place it on a paper towel. Heat oil in a pan and add chopped onions and saute till it becomes transparent. Then add chopped green chillies, crushed ginger and garlic and fry for about 2 minutes. Then lower the flame and add 2 tbsp coriander powder, 2 tsp red chilly powder and 1/4 tsp turmeric powder and fry for about a minute. Do make sure not to burn the powder. Then in medium-low flame add chopped tomatoes along with 1 1/2 cups - 2 cups of water and salt. Allow it to boil till the gravy thickens and then add fish pieces and cook covered for about 15 minutes. Do shake the pan occasionally. Finally add chopped coriander leaves and garam masala. Remove from the flame after 2-3 minutes. Adjust the amount of Red chilly powder according to your spice preference. 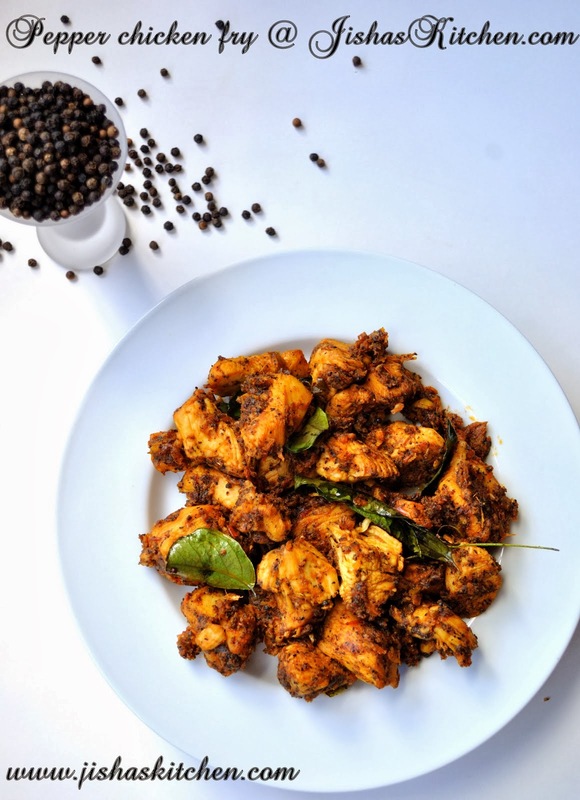 My family loves spicy dish, so I prepared this by adding 3 tsp of red chilly powder. Another fish curry...wow n yum! !...too good....looks truly delish! Thats called a just in time recipe! Yesterday I bought 500 gm king Fish (we bongs mainly eat sweet water fish)and was wondering if I should cook Kerala fish curry as per Sangeetha's recipe, which I cook often. But Now I will try yours..Really yummy. adipoli meen curry. cocum illa alle.garam masala use cheyyunnundalle nannayirikkum urappu. adipoli. 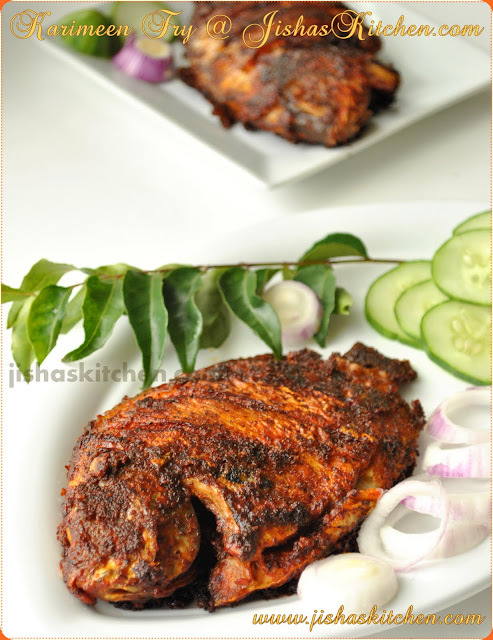 My mom is from Kerala and I absolutely enjoy fish...but this looks fantastic..reminds me of home...lucky U ... I wish we could be neighbours..
Adipoli meen curry..looks so inviting,masala cherthu onnu try cheyyanam. Ente amme adipoli meen curry jisha..the pics are just mindblowing..
adipoli meen curry..i tried several ways to read the word 'kakkathilakkiyathu' in malayalam..still no clue!!! What a stunning looking curry!